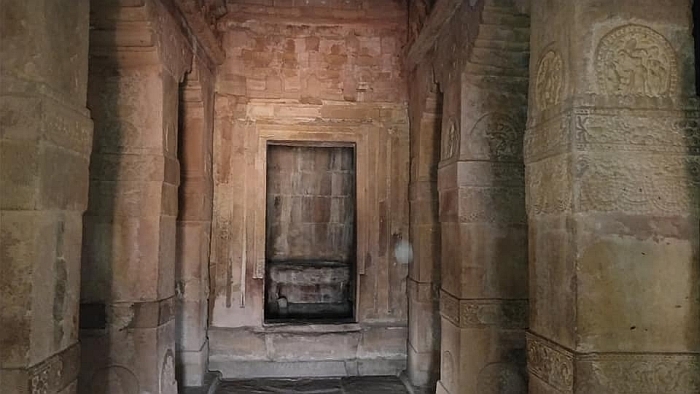 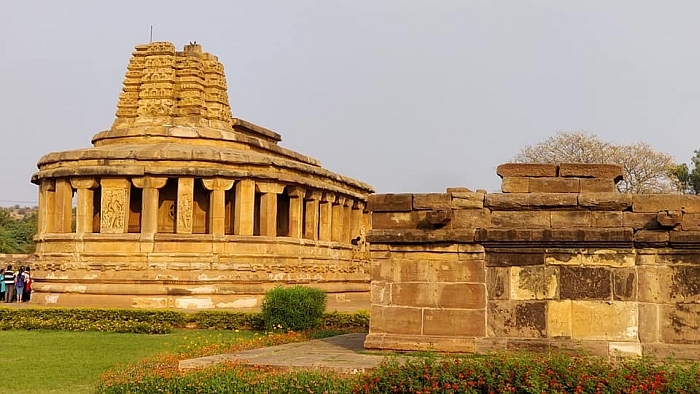 What to see - The ancient Buddhist Hindu and Jain monuments. 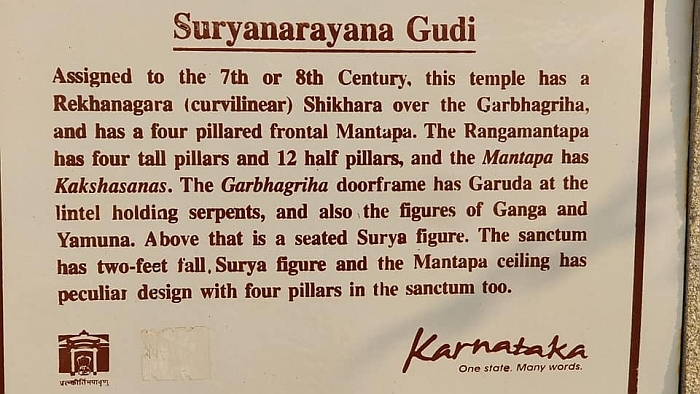 There are around 120 stone and cave temples. 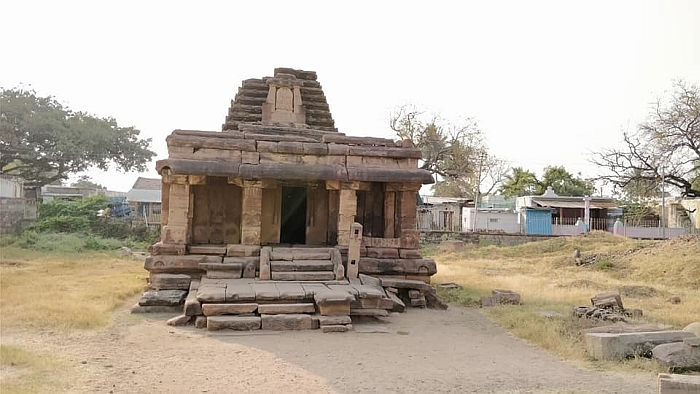 Located - Malaprabha river valley. 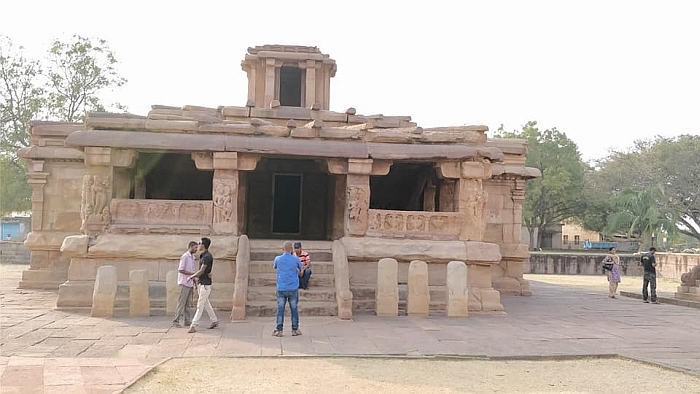 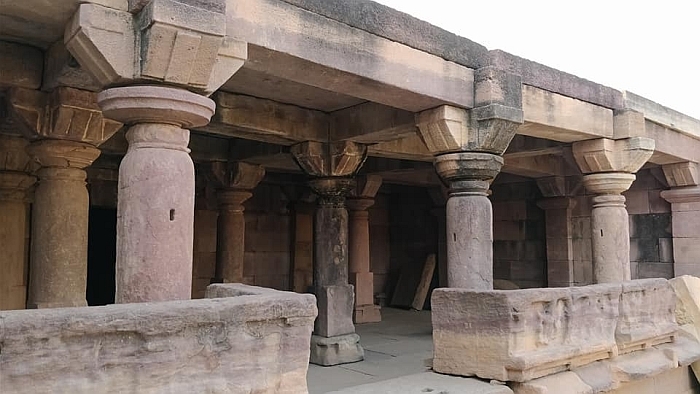 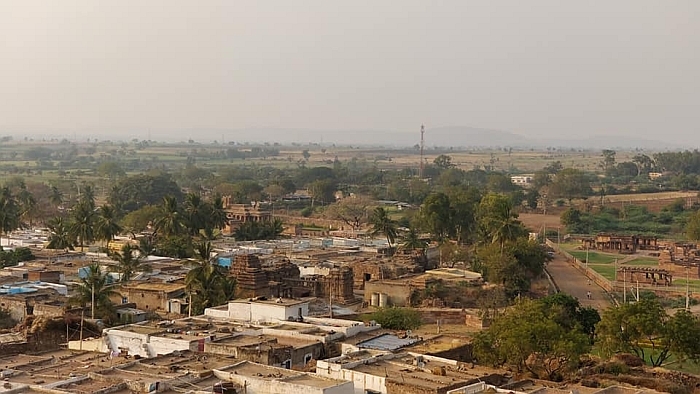 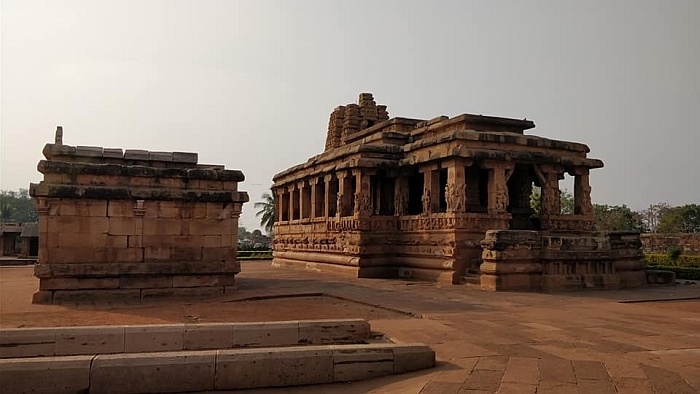 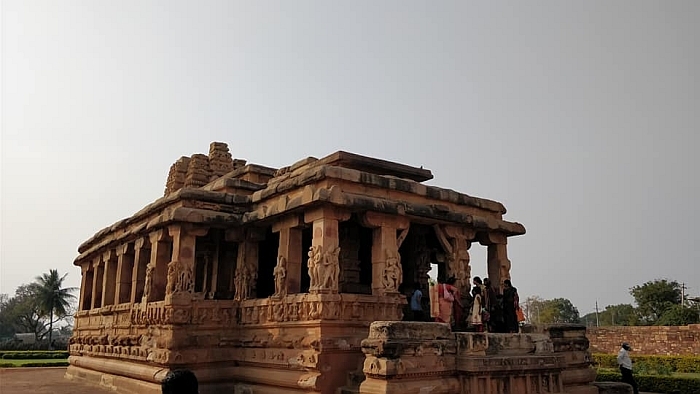 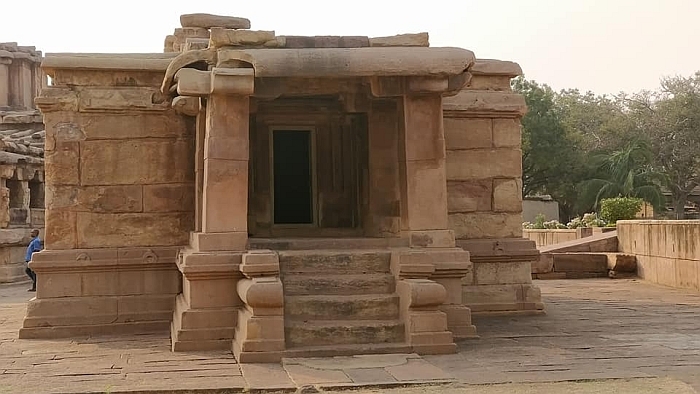 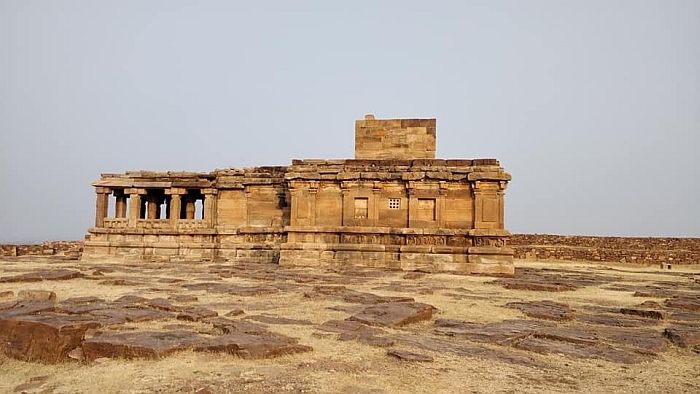 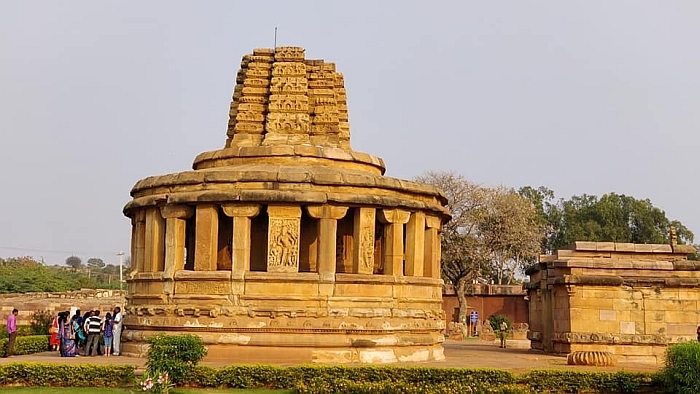 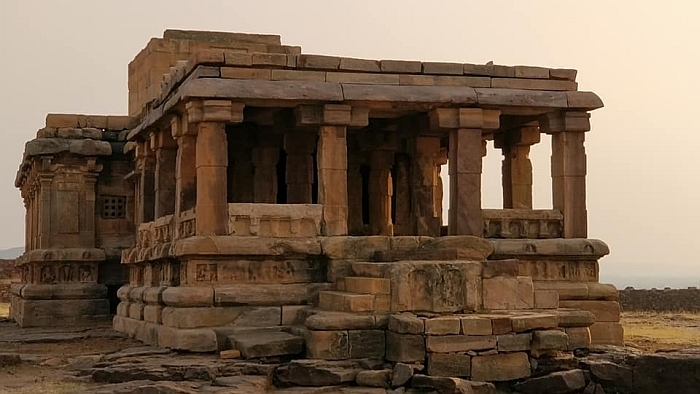 Aihole was earlier called Aryapura.This was the Chakukyan regional capital 4th and 6th centuries with temple architecture in it's embryonic stage. 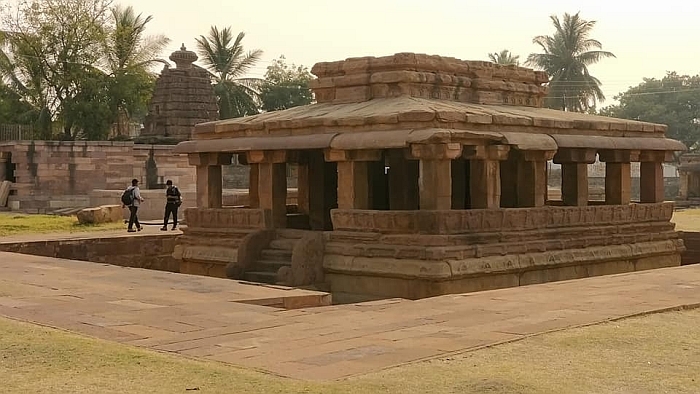 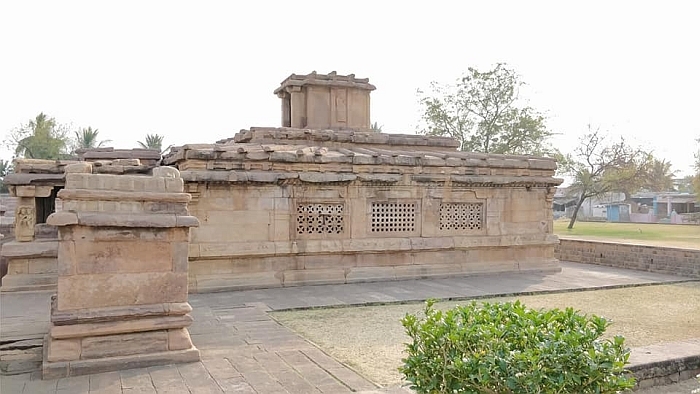 Aihole has over a 100 temples scattered around the village. 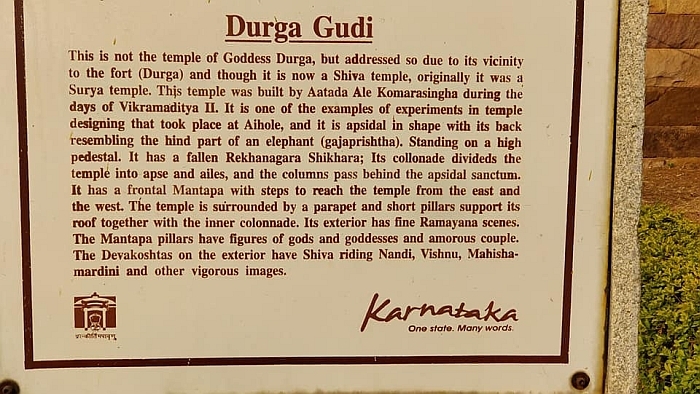 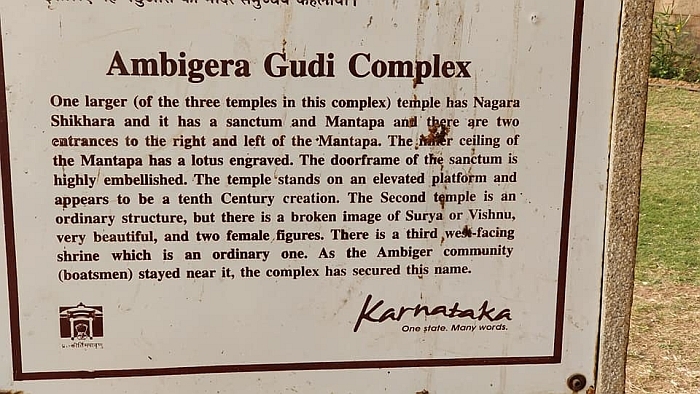 The Durga temple is unique in conception. 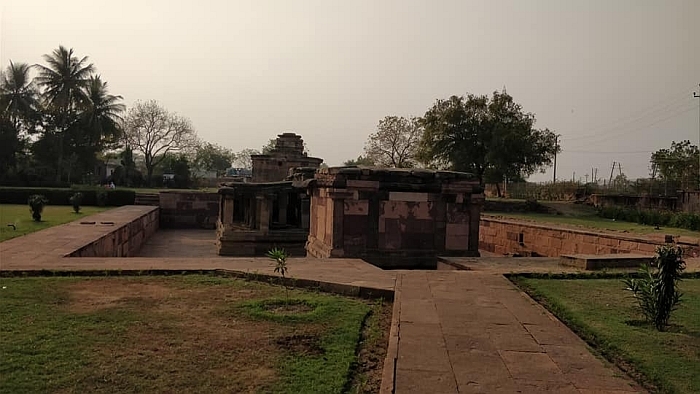 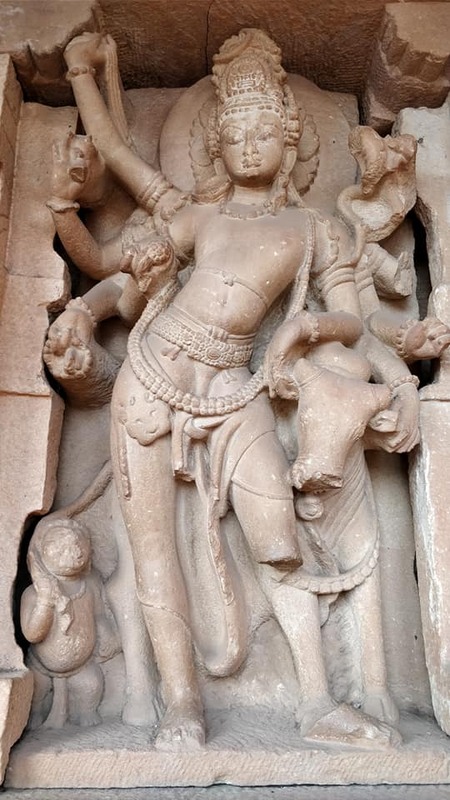 An interesting story that I learnt was why this place is called Aihole - after killing all the Kshatriyas ( rulers & warriors), went to river Mahaprabha to wash his axe, upon which the water turned Red. 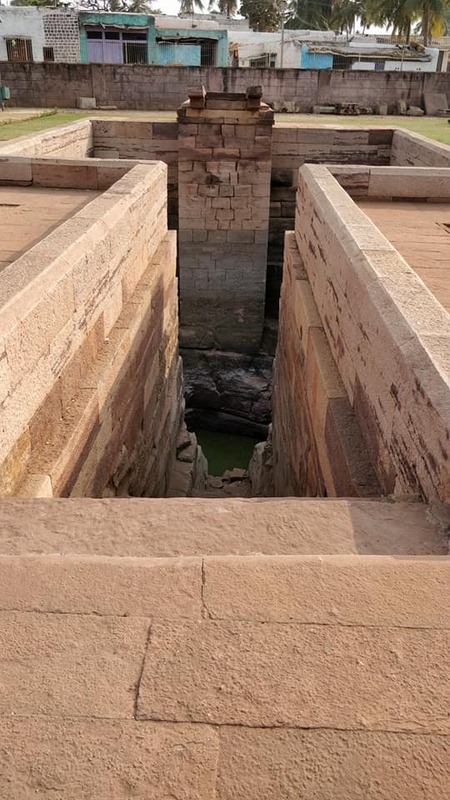 Some people from the village saw the Red coloured water and shouted in panic " Ayya Hole" Ayya Hole"! 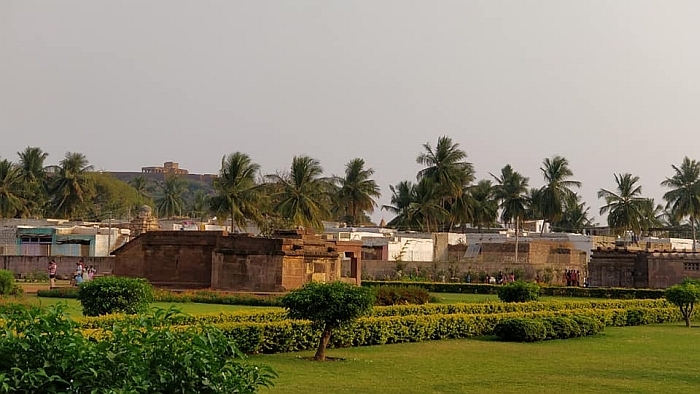 Now a days this place is called Aihole. 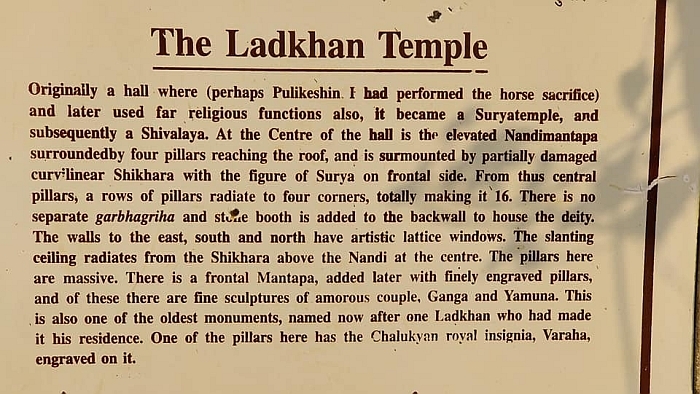 Half a day is required for sightseeing. 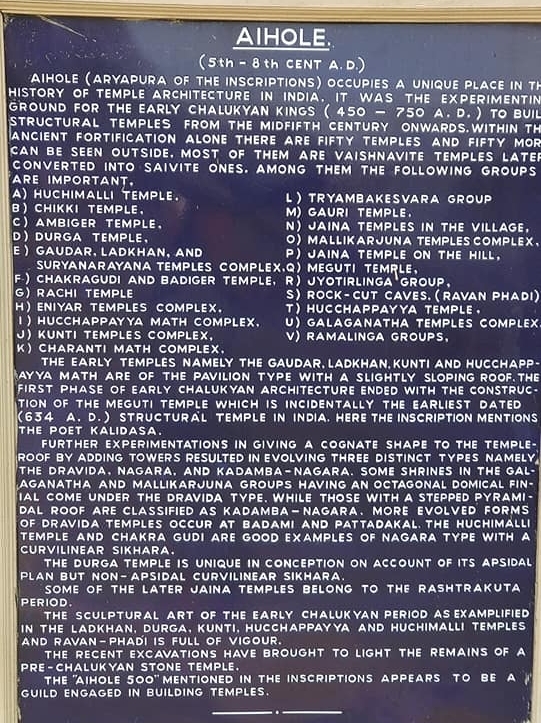 Many temples are being renovated here. 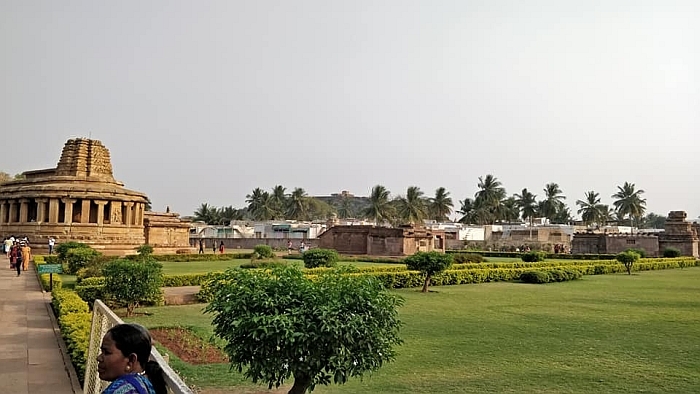 The best time would be to make it in the morning and evening.